A major part of stepping out of school and into adulthood is balancing income with spending. Your graduates need to be able to take control of their finance from Day 1 on the job. Will students be able to leave your classroom with the skills to manage their money? 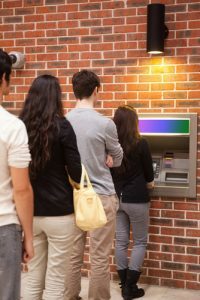 Managing Your Money online provides practical personal money management lessons that guide students through the day-to-day issues of spending, budgeting, banking, borrowing, and financial planning. Each of the 80 easy-to-follow lessons contains 10 concrete money management points with discussion and examples. With pre- and post-tests and a True/False assessment after every lesson, you can identify students’ money management strengths and weaknesses. 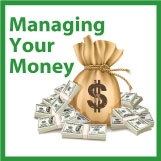 Try a Managing Your Money lesson for yourself, and you’ll appreciate the manner in which the program teaches personal finance. You can use Managing Your Money as an individualized learning experience or as a teacher directed activity. When you use the online version of Managing Your Money with The Teacher’s Desktop, your time-consuming tasks will be greatly reduced by these shortcuts. The CD version of Managing Your Money contains the student program only and does not include The Teacher’s Desktop. Scores are reported to students only. Click here to see a 7-Minute Guided Tour of The Teacher Desktop with electronic scoring and other short cuts.